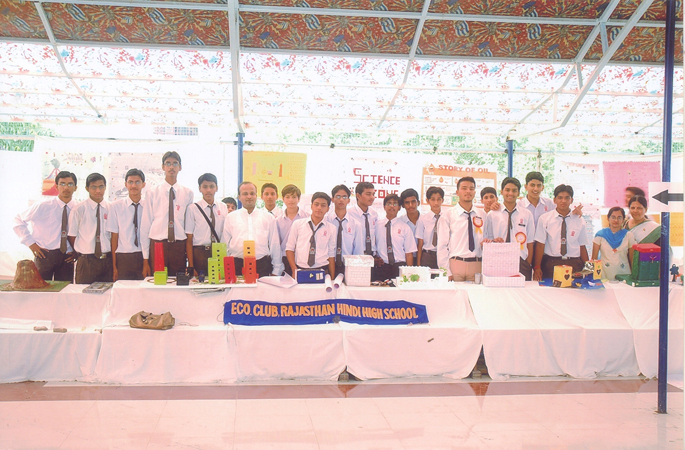 Exhibition by eco-club.A science exhibition was held by eco-club. Students prepared charts, models and posters. Theme of the exhibition was related to “Environment”. Visit to ISRO.Students participated in seminar held at ISRO. The topic of the seminar was “Introduction of space and satellites”. Visit to Science City.17th National Children Science Congress was held at science city. Dr. Ramanujm and Shri. Narendra Modi inaugurated the programme. Students from different schools presented models in the exhibition. Documentation of changes in food habits in human beings.Project was prepared by three students and presented at Gujarat Vidhyapith. The motto of this project was “Save the Earth”. The students were taught how to save the mother earth and what care should be taken. Co-relation between science and religion.Students of 11th science participated in an exhibition and understood the depth of co-relation between science and religion.